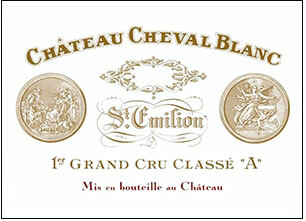 Tasted at Bordeaux Index's annual 10-Year On tasting in London.The 2006 Château Cheval Blanc is a blend of 55% Merlot and 45% Cabernet Franc. It has the most floral bouquet of the four Serié A Grand Cru Classé: an explosion of crushed violets and potpourri, hints of leather and cigar box, the Cabernet Franc clearly lending this complexity and character. The palate is medium-bodied with fine tannin. It feels wonderfully structured and comes with an insistent grip that coats the mouth. This is backward and almost surly, but you have to stand back and admire the precision and arching structure on the mineral-rich finish. Top-dog Saint Emilion? That's for sure. Tasted January 2016. Drink: 2019 - 2040. Displays lots of milk chocolate, cedar, berry and cappuccino aromas. Full-bodied, with chewy tannins, this is structured and layered for the vintage. Mouthpuckering. Needs time. This is one of the wines of the vintage. Best after 2015. Good deep ruby-red. Captivating nose combines blackberry, menthol, licorice, bitter chocolate, violet and a flinty, iron-like element. Densely packed and very fresh, with superb energy and definition to the complex flavors of cassis, blackberry, licorice, menthol and minerals. A floral element contributes to the impression of vibrancy. This is more impressive than it was at any stage of its elevage, offering surprising chewy richness and sweetness for a brand-new Cheval. Finishes with broad, toothdusting tannins that mount slowly and saturate the palate. This wonderfully smooth wine gained in precision and floral perfume with 24 hours in the recorked bottle and should be at its best roughly between 2015 and 2035.